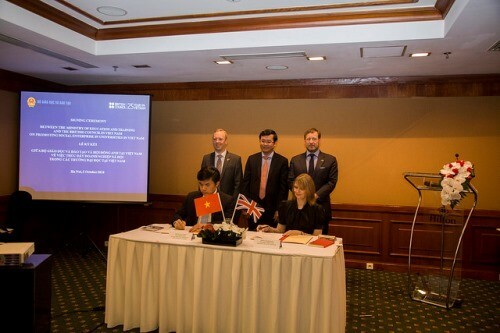 (VOVWORLD) - The British Council in Vietnam and the Ministry of Education and Training, signed a cooperative agreement in Hanoi on Friday to boost education about social enterprises in 200 universities nationwide. The program will focus on promoting social enterprises and renovating society through seminars, forums, training, capacity building for students, lecturers, and consultants. The British Council will help improve awareness of social enterprise development, train at least 30% of university students, provide knowledge and skills on social entrepreneurs, social creativity, and community leadership to 200 lecturers. A network of social educators and researchers will be set up and sustained.